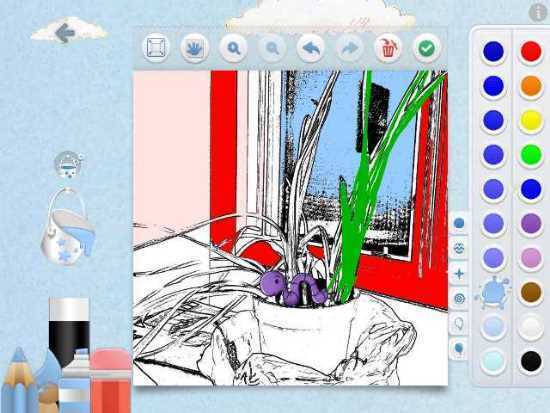 This fun art app with a slightly French flair has lots of terrific tools for petites artistes. 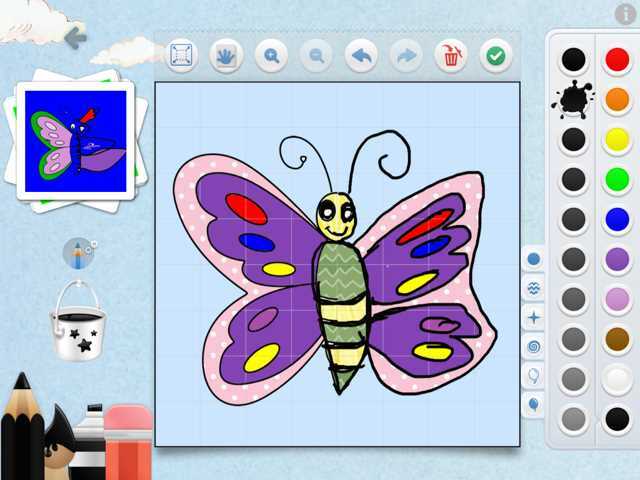 Mini Monet is a digital art studio where kids can draw and color using a variety of tools, including a "magic pencil" that stays inside the lines and a plethora of stickers. In addition to the standard palette of options in art apps, kids can also color in their own photos or practice symmetry by completing half-drawn canvasses. In the Art Club, kids can peruse pieces by other kids and pick which ones they love. With parents' permission, kids can contribute their own creations to the club, and try their hands at weekly challenges, too. 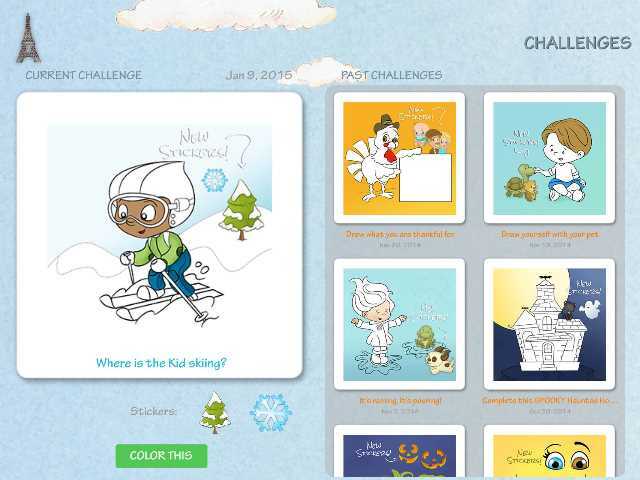 Participation in all of these activities earns digital coins that kids can use to purchase more coloring pages. In the coloring section, this free app comes with 10 animal pages to color. Additional pages cost between $.99 and $1.99, and come in packs based on themes such as, ocean, caring and sharing, fairies, transport, and more. 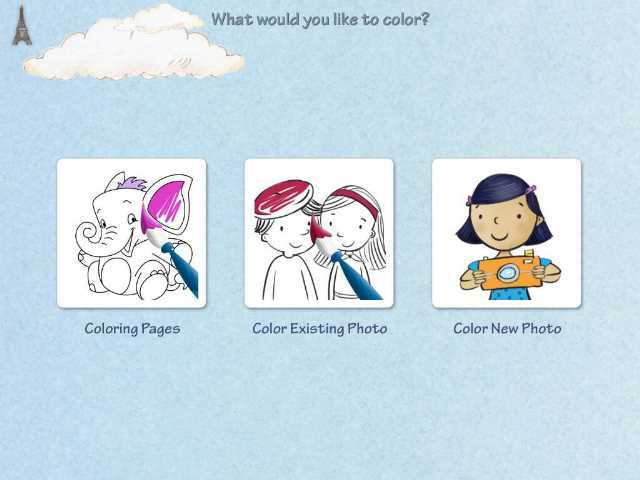 Parents can unlock all of the coloring book pages with an in-app purchase of $6.99. Mini Monet provides all the tools kids need to learn and practice making art on their own. 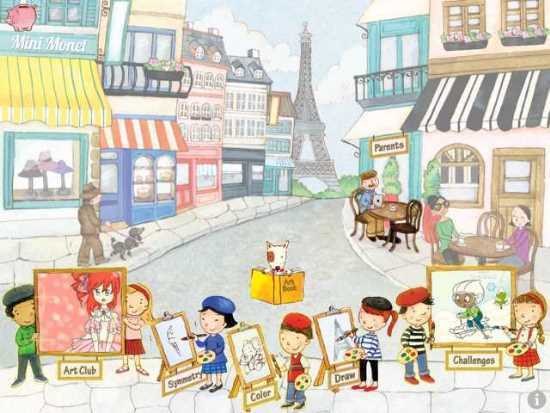 Kids begin on a French plaza and choose which easel to engage — whether to color, draw, or see what other kids are creating in Art Club. Clear, kid-friendly instructions talk kids through using the different tools of the trade. After creating to their hearts' delight, kids can save their pictures to their art book within the app, the device's photos, or ask a parent to sign up with an email so kids can share in the Art Club. Mini Monet is beautifully designed. 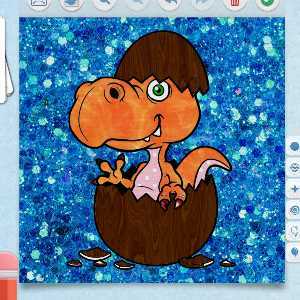 There is a great variety of canvasses and tools -- kids will love the sparkles and stickers along with the patterns and paints. The "magic pencil" tool is nice for young artists, but there is also plenty to keep older kids challenged, particularly the symmetry section, which may lead to creations more reminiscent of Van Gogh than Monet! The ability to zoom in to paint details is brilliant. And the option to color in a real photo provides an interesting way to use Mini Monet to interact with the world. The Art Club creates a community, and kids will be heartened by others liking their work. We also love the by-kids-for-kids instructions, and the slight French accent is a nice touch. Mini Monet is dedicated to making safe apps and giving parents full control in the app settings, and we applaud their efforts. Parents should be careful with older kids, though, who could easily slip past the parental gate with some double-digit adding and get access to sharing and purchasing. The coin-collecting reward feels like a double-edged sword. Since the app has in-app purchases (IAPs) to unlock additional coloring pages, it can be confusing to children to also offer them in-game coins that purchase coloring pages. We would have preferred having kids earn stars or points. However, the pleasing "dings" as coins drop into the piggy bank does reward participation and creation and acts as an incentive. Mini Monet is best for kids who enjoy drawing, but need a little inspiration in the form of ideas and encouragement. The variety of options here can keep budding artists creatively engaged without the mess — perfect for car trips! Parents can enhance learning by discussing symmetry and encouraging kids to draw on their own, both within Mini Monet and during non-screen time! This Mini Monet app review was written by Liz K. McKinney and originally published on February 23, 2015. It was updated on December 16, 2016 to reflect a new pricing model.